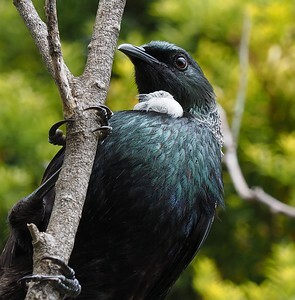 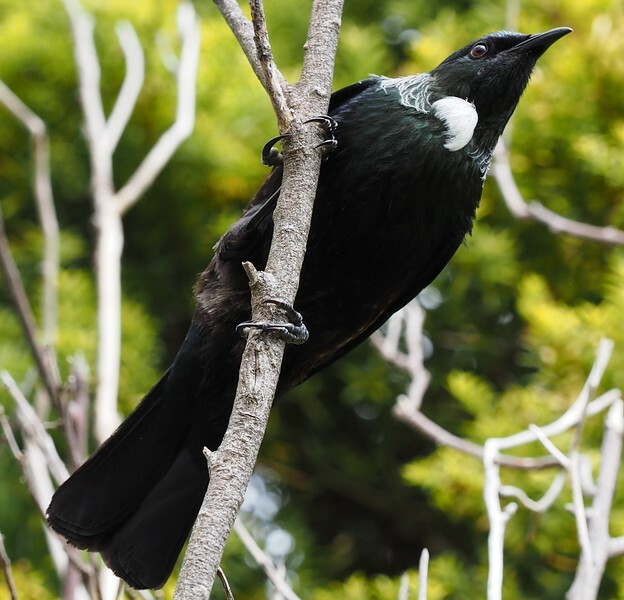 Tui birds native to New Zealand, notable white neck tufts and subtle mult--coloured feathers. Also noted for melodic and varied calls, including mimicry. 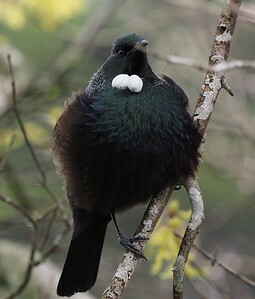 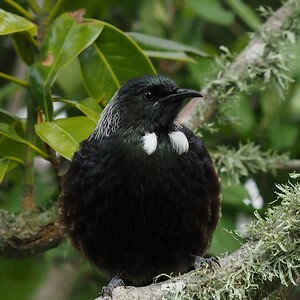 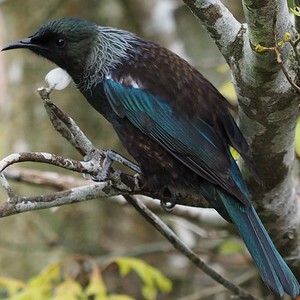 Tui are native to New Zealand and are notable for their white tufts on the neck, subtle metalic coloured feathers and varied melodic call - which includes mimicry.